Travis Couch joined PLACES as senior accounting manager in October 2017. Formerly financial manager of the Housing Authority for the city of Richmond, Indiana, Travis earned his bachelor’s degree in accounting from Rasmussen College in Florida. Originally from Eaton, Travis now lives in New Madison, Ohio, in Darke County northwest of Dayton. 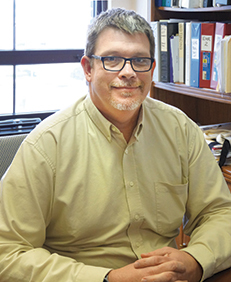 During his career, Travis has had various accounting roles at Swihart Industries, Accountemps, New Paris Oil Company, and Economy Linen & Towel Company, Inc. PLACES is proud of its clients, tenants and residents who have worked hard to achieve their goals in education, vocational training, community service and recovery. Here are some honorees who received awards at the Client Recognition event on February 16. 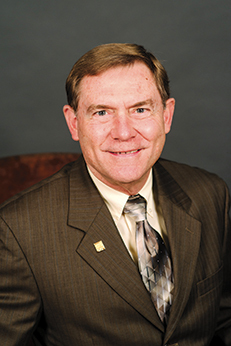 The PLACES Board of Trustees welcomed Steven D. Mueller, Ed.D., PCC, as a new member in January. For many years Mueller served as Director of UD’s Counseling Center and later took on additional responsibilities for campus recreation, alcohol and drug abuse intervention, the health center and wellness programs as Assistant V.P. of Health and Wellness. Originally from Cincinnati, Mueller graduated from Moeller High School and earned his doctorate at the University of Cincinnati. He was honored in 2007 with the Lackner Award for his significant contribution to the Catholic and Marianist heritage at UD. Terminology in the world of social services can be confusing. For example, what’s the difference between the various types of supportive housing that PLACES offers? We offer assistance in the form of both residential or site-based programs and community-based programs. PLACES’ Supportive Living and Opening Doors programs integrate people diagnosed with mental illness into the community at large by placing them in a variety of different living situations. PLACES staff visits them to provide case management services and life skills training. Neighbors may not have similar behavioral health issues. 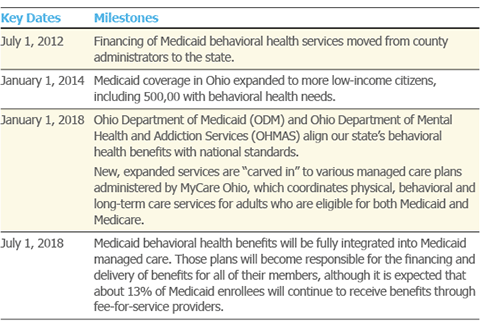 After six years of study, policy making and training, the redesign of Medicaid behavioral health services in Ohio is finally here. PLACES has been preparing many months for Behavioral Healthcare Redesign, which was implemented in January. The staff has been training on new billing procedures and documentation methods, preparing for certification to bill Medicaid in the next few months. At that time, PLACES will have an opportunity to offer more services to its residents, since some individual case management activities can be billed to Medicaid if properly documented. More change is coming later this year, as behavioral health benefits will be fully integrated into Medicaid managed care plans. The chart below provides a synopsis of the progress made so far and what is still to come. How Will the Success of Behavioral Health Redesign be Measured? Continuity of care for consumers is a main goal of Ohio’s behavioral health redesign initiative, along with access to services, appropriate utilization, getting providers to participate, and paying them promptly and accurately. With so much change happening, how do state legislators plan to measure the success of this initiative? It might seem unusual for a mother and daughter to share the same employer. But it’s familiar territory for Betty and Stacey Coleman. Betty and Stacey Coleman have dedicated their lives to helping others through a variety of social service roles, from court advocate and probation officer to outreach ministry. Stacey joined PLACES in 2013 as manager of Imperial Court, the newest Permanent Supportive Housing facility to be opened by PLACES to that point. 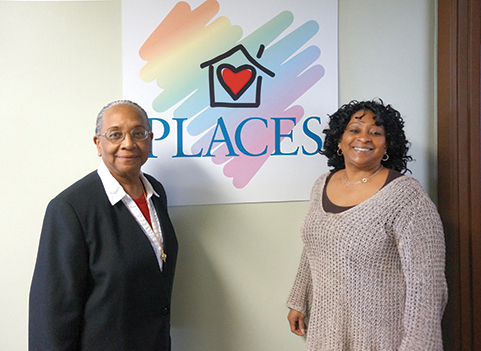 A year later, her mother, Betty, joined the PLACES team as a case manager in the Supportive Living Program. Today, Stacey is manager of PLACES’ North Main adult care facility. “When Stacey told me about PLACES, I knew it was where I wanted to work,” said Betty. “At the time it sounded like a good fit for me. Four years later, I still believe it’s a good fit. I’m proud to be part of an agency that is committed to helping and empowering people to improve their daily living.” This was the second time the pair has shared the same employer. They both worked at Eastway Behavioral Healthcare a few years before, Stacey as a community support specialist after moving back home from South Carolina in 2010 and Betty as a nurse in a teenage residential facility. Betty Coleman agrees. “PLACES is not a sit-down agency,” she explained. 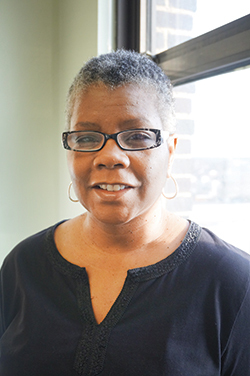 “We’re always striving for better ways, seeking out other resources to accomplish our mission.” Betty, who is a case manager in the Supportive Living Program, has been a nurse for more than 50 years and worked as a health nutrition specialist for Head Start. Betty, the third of 10 children, spent her adolescent years in the Ohio Soldiers’ and Sailors’ Orphans’ Home in Xenia after her mother passed away. “It was not a David Copperfield kind of experience,” said Betty, who speaks fondly of the home as a “city within a city,” with its own trades, gardens and training classes. Betty’s father chose the home as a way to keep his large family together so they could see each other, rather than splitting them up among relatives. Nanci McGuire has been promoted to lead PLACES’ Supportive Living Program. 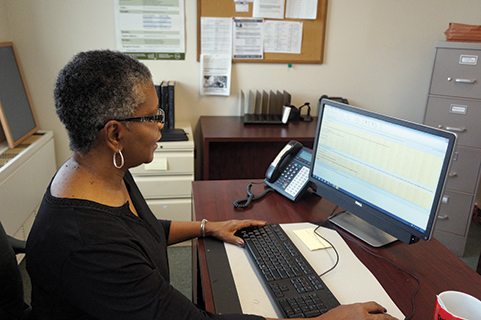 Formerly the manager of two Permanent Supportive Housing sites, Nanci supervises a team of case managers who provide ongoing supportive services and life skills training to clients in the community. SLP clients live at scattered sites owned by other agencies or private landlords. In general, they are chronically homeless and may be coming out of shelters, so need help setting up their new home. SLP case managers help clients with their other needs, as well. Some lack the education needed to find employment and want to get their GED, then a job. Others may need medical attention. One client hadn’t seen a doctor in 17 years, Nanci said.